• All auto transportation companies are the same. Like every brand or every company that works with people you can't expect the same result by both sides. The point is that no two transportation companies offer the same level of service. As with most things in our country, there are companies that offer a low price, but have many hidden charges or they simply offer poor experience and service. Some rely on misleading headings, menus and offers on their website. We believe that the best customer is the happy customer. Make sure to visit our website at www.van3autotransport.com to experience THE BEST auto transportation service. We offer door to door shipping and we are proud offer the best car shipping rates in the industry. This is a common myth that many people seem to believe in. Imagine driving an exhausting trip for more than eight hours. It's not a pleasant experience and it will definetely make you very tired. You may consider the gas prices, hotels stays and stopping for food, those are all things that will build a hefty bill. If you choose shipping your car with our company, you avoid the gas bill and the extra vehicle milege. You will also reduce the possibility of damaging your car. All you have to do is call our HOT line (708)357-8698 and we will make sure that your vehicle is in safe hands during the entire transportation process. More than 75% of the cars in the United States are shipped using open-carriersEVERY car on the trailer is delivered safe and untouched. Also a reminder for those who don't trust open carriers the price for transporting with enclosed one is over 60% HIGHER. Car shipping costs are calculated based on many factors. Distance is one of them, but there are other factors worth considering. Vehicle size, whether you choose open or enclosed transportation, the final destination and flexibility in dates all sum up the final cost. Planning to ship your car in a more rural and hard to reach by region would cost you more since the carrier needs to go off the main route. In a world where everybody is in a hurry shipping dates may increase the cost of the car transportation because the companies need to make additional arrangements. It is a popular belief that car transportation is an expensive service. For a company which has been more than 20 years in auto transportation business we think the most important criteria is the COST. In MOST cases transporting your car is going to be much CHEAPER than driving it by yourself. By choosing to ship your vehicle with a car shipping company you guarante your car's safety as well as your own. 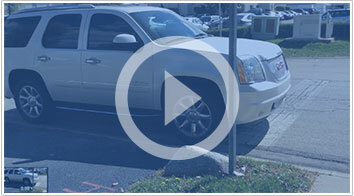 VAN 3 Auto Transport has over 20 years of experience in the auto transportation industry. We have been shipping cars safely for a long time, and we look forward to doing it for a long time. We cover a wide variety of transport services. Our goal is to make your choice as simple and as easy as possible. Get your FREE car shipping quote by visiting our WEBSITE or call (708)-357-8698 from 7:00 am - 9:00 pm CST and speak with one of our friendly customer support representatives. This entry was written by admin, posted on Thursday, July 17, 2014 Bookmark the permalink.